History lessons don’t have to be the dry and boring lessons you remember from your childhood. On the contrary, hands-on history activities can make your history lessons fun and memorable! Most of us did not enjoy the history textbooks of our youth. 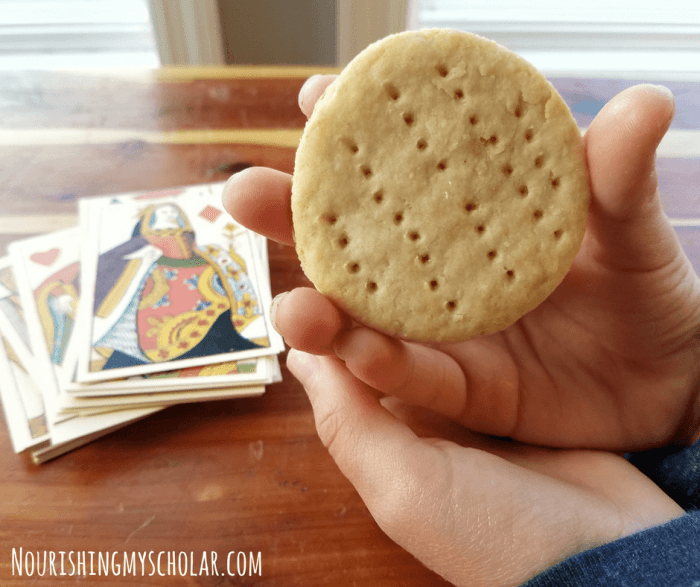 Dull textbooks can turn our kiddos off of history, so I strive to make this particular subject engaging and fun! 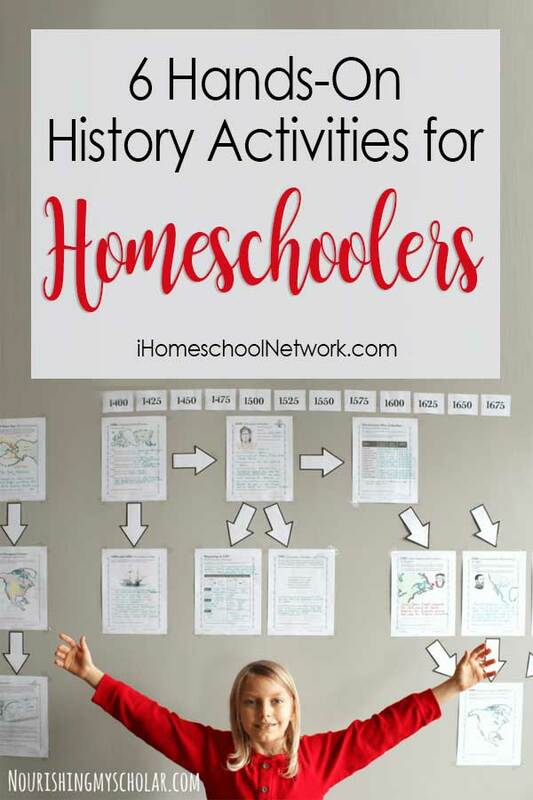 You can read more about how we created an Early American History Timeline and Unit Study or our Medieval England Unit Study as we love hands-on learning! History is an important subject. We learn so much from our past. Where we’ve been and what decisions have led us to where we are. Though some parts of history may be too much for elementary students, we can still provide a captivating historical experience if we only think outside the proverbial box. 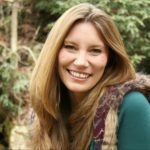 So how can we make history a pleasant and educational experience? Cooking – Historic recipes offer a fantastic way for kids to have a hands-on experience! Preparing a traditional dish like hardtack, or the Wampanoag recipe Nausamp can bring history to life. Cooking Up Some World History and Cooking Up Some American History books can give you inspiration depending on the time period you are studying. Art – We love incorporating art into our days. When we find an art form that includes history like Medieval Chalk Pastels: Video Art Course, Inventors History Video Art Lessons, and the History Art Lessons Subscription we take advantage of all the creativity! Games – Historical games are fun to add to your studies. Games like marbles, mancala, or cards have been around for hundreds of years. But there are even games today with a historic flair: Timeline Card Games, Professor Noggins Card Games, or Way Back When In History are just a few! 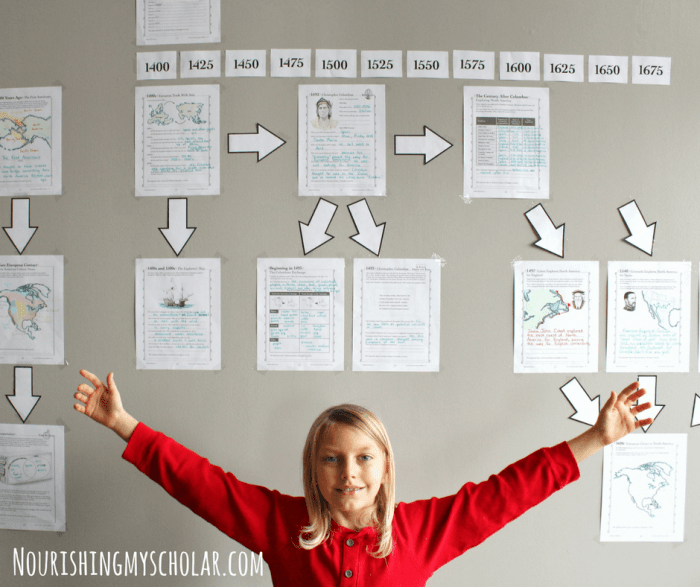 Create a Timeline – Creating your own timeline is a great hands-on history activity. The Giant American History Timeline was perfect for us as we traveled from pre-colonization to the modern era! Here are several timelines for Ancient Civilization, and Medieval History. Dress Up – Dress up in period clothing or better yet, when you dress up, go to a local historical reenactment! Or create your own reenactment! Build It – We’re not just talking about sugar cube pyramids here, although those are quite fun too. But building anything and everything from your historical time periods! Studying Colonial America? 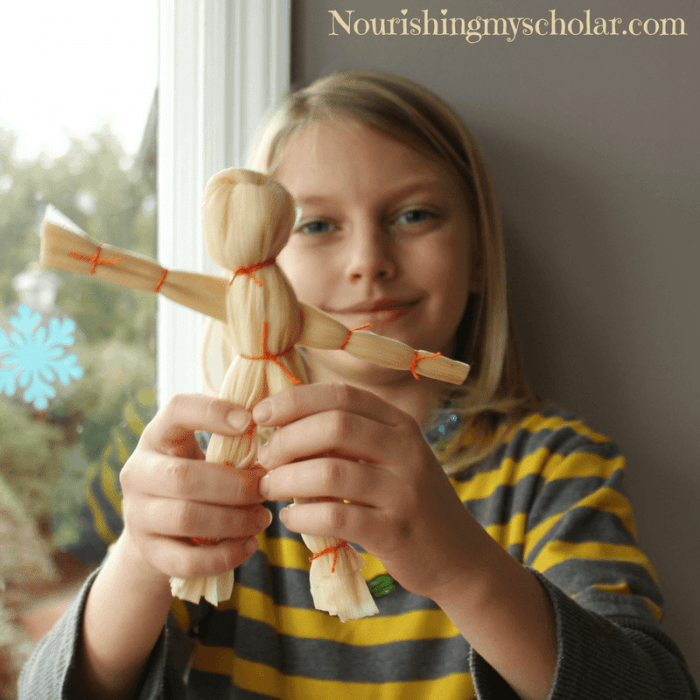 Make corn husk dolls, spin wool into yarn with a drop spindle, or make beeswax candles!